We waste up to 40 percent of our food in the United States — and 25 percent of food waste happens at home. Most of us don’t want to waste food, but in the dash to make dinner, food waste might not be the first thing on our minds — until we’re poised over the trash can holding our noses and scraping moldy, three-week-old casserole into the trash vowing to do better next time. For those of us who want to break the shop-cook-waste cycle, the good news is that with practice, wasting less food can become an effortless habit. 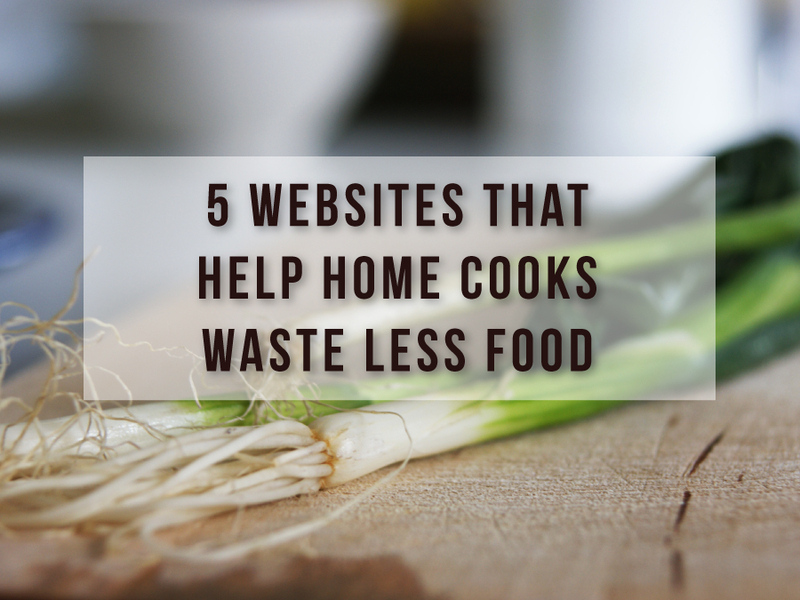 We’ve got plenty of ways to support good food waste habits here on I Value Food, and we’ve rounded up five more websites that celebrate not only wasting less, but also valuing and enjoying food more in the process. In other words, yes, leftovers can be awesome. Whether you need advice on canning, what to do with leftover egg yolks, or straight-up tips for reducing food waste, chances are TheKitchn has written about it. An active community usually adds even more great tips in the comments section. If you’re in a quandary they haven’t covered yet, you can submit questions to the editors. You’ll also find great recipes, tutorials and advice for organizing, shopping, cooking and enjoying food that work with busy, modern lives. One of the problems with food waste at home is that we don’t really realize how much we actually waste. 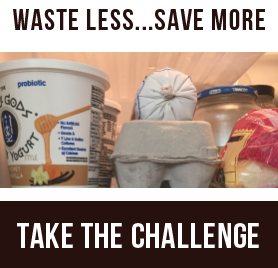 Blogger Kristen, aka The Frugal Girl, realized this and decided to post weekly pictures of the food she wasted on her blog. “In March of 2008, I finally got fed up with the amount of food I was wasting,” she writes, “and I thought that showing my waste to other people would motivate me to use up my food instead of wasting it.” Embarrassing as it was, it worked for her. 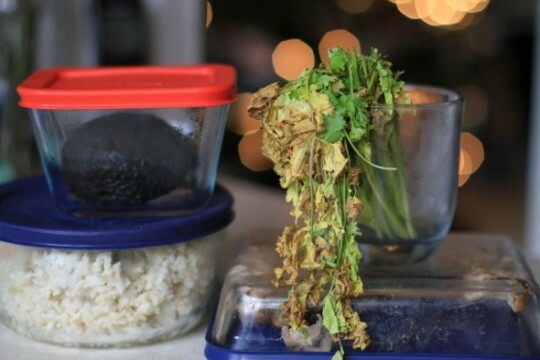 She named the regular feature Food Waste Friday and invited other bloggers to join her. No matter if you post pictures on a blog or social media — or just keep them to yourself — Kristen’s strategy of taking visual stock of what you waste can help identify quick fixes that will work for you. Does your bread go moldy before you finish it? Try freezing half the loaf after you buy it. Constantly throwing away farmers market produce? Try buying less and shopping more frequently. Sure, there’s bound to be some waste when you’re cooking with fresh vegetables. 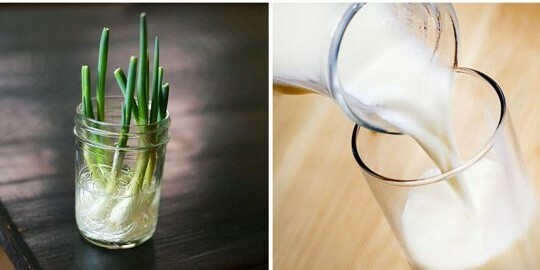 But did you know you can make stock from some of those tough stalks and stems? 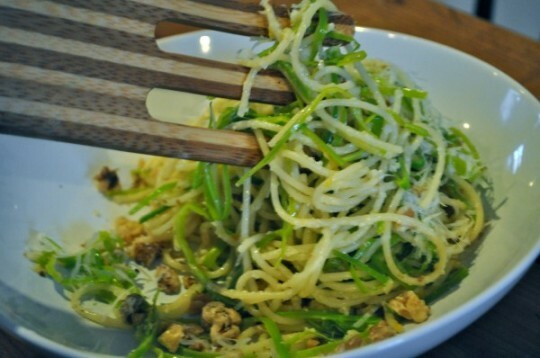 Or that you can make linguine, vinaigrette or a creamy side dish from the green parts of leeks that most recipes tell you to discard? Chef Ronna Welsh is on a mission to help us home cooks find uses for what we normally feed to the garbage disposal. In addition to operating cooking classes in Brooklyn, her running blog column Otherwise Trash is loaded with resourceful ways to use just about everything. It makes no pretense to be about food waste, but website Food52 makes our list for baking smart food-use strategies right into its editorial philosophy. The ugly phrase “food waste” is rarely uttered, and leftovers are treated as valuable ingredients rather than second-change meals that need to be suffered through. The site is full of elegant, creative reuse of leftovers, and emphasizes tips for using up bits that might normally get thrown away. (Any site that finds 10 drool-worthy ways to use leftover fish is serious about not wasting food. Like thkitchn.com, Food52.com also has an active community that adds great ideas. There are a lot of “zero-waste” bloggers out there, but they often choose to focus on reducing packaging waste more than bringing down actual food waste. The Greens, the U.K. family behind myzerowaste.com, do both. Here’s one of their clever food waste strategies: Rearrange your refrigerator so you store jars of long-lasting condiments in the crisper and move more perishable produce items up to a shelf where they won’t be forgotten. You can also find handy tips like 15 Ways to Use Up Pesto Sauce, as well as smart advice for working a waste-less approach into other areas of your life. There you have it. If you’ve resolved to never again face a limp lump of vegetables in your crisper again, start following these sites and find out how delicious smart food-use habits can be. This article originally appeared on Sustainable America’s blog.